There is a small mountain of clothes piled on the tables at the back of the Wellspring homeless centre in Stockport every morning. They've been donated during the day. Hundreds of pre-loved items, most of them warm and clean and useable. The person who sorts them out each morning is Thomas. Today he and Holly, one of the students on placement, are heaping and folding and wrapping the clothes. They'll go in to large bin bags and they are there for folk who use the Wellspring to have if they need them. Thomas explains that he gives out the clothes according to the measurements people give him, not according to the dictates of fashion. He has a very no-nonsense air to him, which reminds me of my older brother. He's delivered clothes around Europe and beyond in his previous incarnation as a truck driver and he tells stories about cheap clothes and cheap labour from sweatshops. Most clothes in the UK come from India - not here. He tells me that homeless wpeople sold the clothes, "For their fixes or drugs or alcohol" if they were left out for anyone to choose what they wanted. So now it's a dole system. 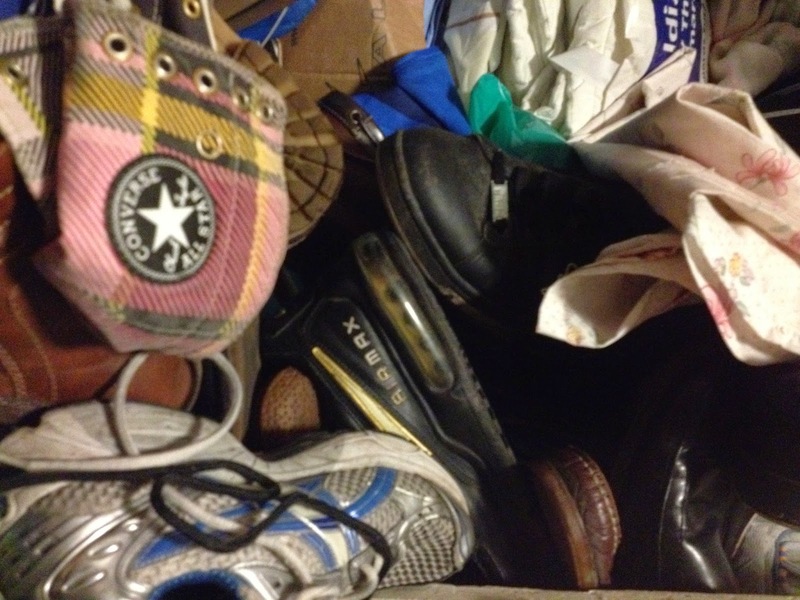 Any unwanted clothes are sold on to bulk suppliers and the money is fed back into the Wellspring. Nothing goes to waste. "People coming here, people in this position, can't afford to be choosy. If we've got something that fits then I give it to them. These here are good trousers to me (holds up a pair of bland but clean M&S trousers) " - but some people here wouldn't wear em. They want Nike or whatever. I tell them if they want that stuff they can buy it themselves. It's true though, they need their fix or need their drink." Holly, who I've often noticed will challenge the members of staff here, says: "But that's a blanket judgement, you don't KNOW they'll do that." She says it with a twinkle and Thomas then goes on to explain how the fashion industry makes its cash, with everyone playing follow my leader to France and Italy. And British fashion, asks Holly, what about that. Thomas shrugs: "That? It's cheap."